In the 1960s, Jim’s innovative use of fleece-covered foam for his puppets captured light well, enhancing the way they looked on television. 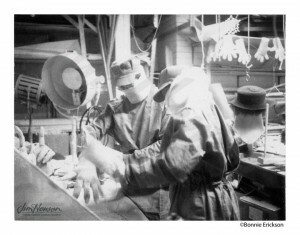 His discovery, in the early 1970s, of the effectiveness of flocked foam on the screen started his builders (Don Sahlin, Bonnie Erickson, Caroly Wilcox and John Lovelady) in a new direction. Now Jim’s puppets could be fleece covered, fur covered or flocked, providing greater variety in their appearance. The flocked surface worked for a wide range of expressive faces and is largely responsible for the soft, glamorous love affair between the flock-covered Miss Piggy and the camera. 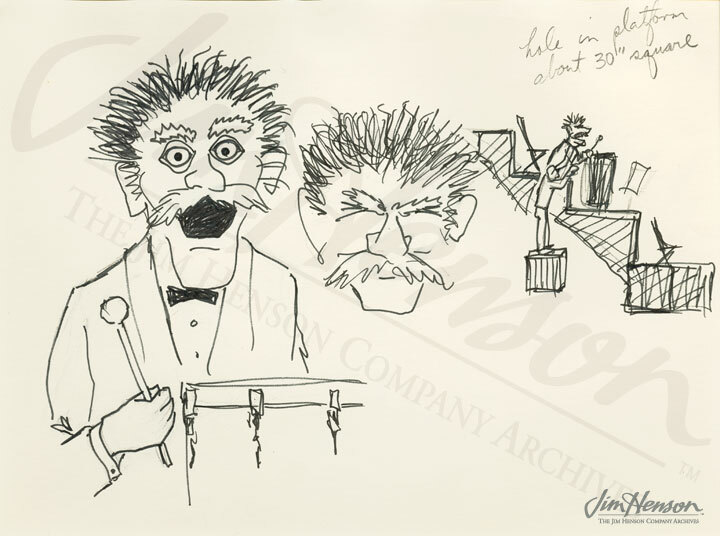 Jim’s sketch of the flocked drummer puppet for the Nancy Sinatra stage show in Las Vegas, 1971. 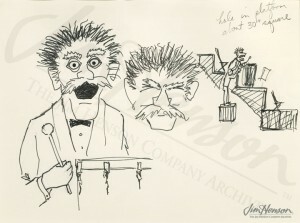 This entry was posted in 11-November '71, 1971 and tagged Bonnie Erickson, Caroly Wilcox, Chicago, Country Trio, DeKor Flocking Company, Don Sahlin, Frank Oz, Jerry Nelson, John Lovelady, Miss Piggy, Muppet Musicians of Bremen, Nancy Sinatra, Otto Heinbach, Silvestri Art Company. Bookmark the permalink.